April 2014. I took my first blogging challenge. I’ll admit it: Before I ever started, I thought I wasn’t going to succeed. But I did. Somehow I blogged my way through the alphabet, from A to Z, in the month of April. Twenty-six posts in thirty days! At the end, my fingers were sore, but the pain was worth it. I learned that not only do I enjoy writing for me, but I enjoy writing for others as well. And to my delight, I discovered an amazing community of bloggers I never realized existed … bloggers who encourage me both in my Christian faith and as a developing writer. So … I’ve decided to do it again. 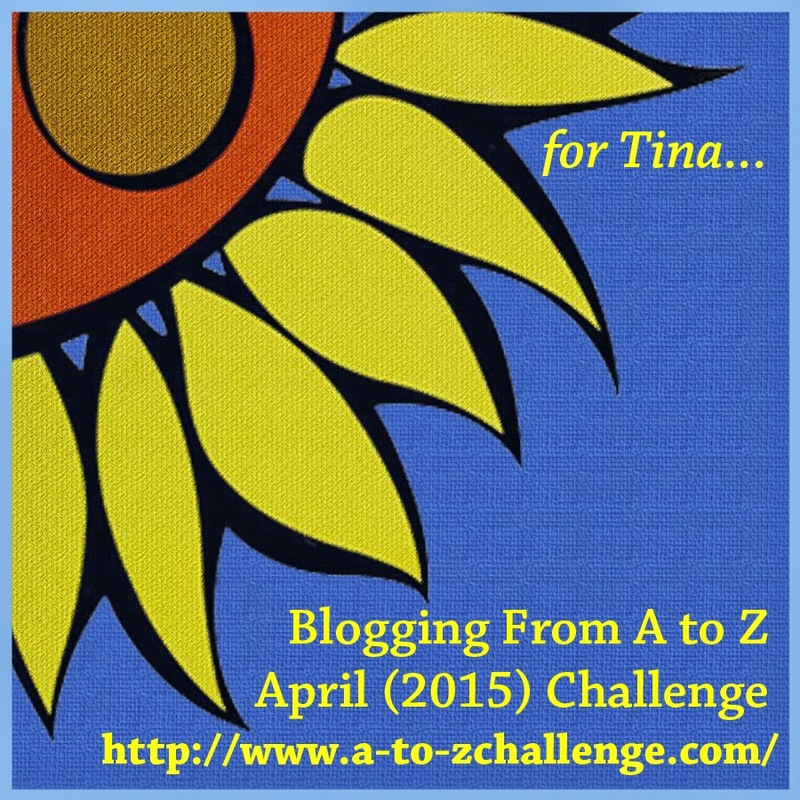 I’m taking on the A-to-Z Challenge and once again will spend most of my spare time in April typing away. A lot of bloggers who take the A-to-Z Challenge will have a theme. Perhaps a gardener will blog through the alphabet about different varieties of flowers, or a cook might share different recipes throughout the challenge. Truthfully, blogging without a theme and waiting on God to give me an inspiration for each day’s post was something of an exercise in faith. Literally, there were days when I had absolutely no idea of what I would write about until I sat down in front of my laptop and prepared to blog. Hmmm … not exactly what I had in mind as there still isn’t a firm idea of what I will be blogging about each day. It seems like once again I will be doing what I do best, writing about the insights God gives me in my own little mundane life. I expect during April I will write about motherhood, grief (as I am still very much processing the deaths of my father and grandfather), foster parenting, raising teens and tweens, marriage, homeschooling, personal memories and who knows what else. There might even be a day or two when I write about the laundry. on whatever topic God gives me. Most of all, I hope you will join me in April. Please feel free to connect with me by commenting, either here or on Facebook. I love getting feedback and forming new friendships from my readers as well as with other bloggers from around the world. Sounds neat. I saw John Mark also was doing this, maybe I’ll join in! You should, Melissa! It’s fast-paced, but so much fun. And it really does draw a lot of readers to your blog that you might not otherwise get. 🙂 But I’m going to read you whether or not you blog from A-to-Z in April! 🙂 where is the site with the rules? I read it awhile ago. Ps thank you you’re so sweet! Here’s the website where you can read the rules and sign up. I’m so excited to see that you’re jumping back into the A to Z Challenge, too! This was the first blogging challenge I ever tried, too, but was completely worth it! I think your theme sounds quite interesting, and I’ll look forward to following your A to Z posts again this year! I am proud of you my dear and look forward to reading your posts. Yay! I’m so glad … and looking forward to reading everything you write. By the way, I am much more non-denominational than anything, though I still somehow consider myself a Baptist girl because I grew up attending that particular brand of church. My family now attends a Calvary Chapel Church. Paige I am so thrilled that you are doing this again! Last year the challenge surprised me with encouragement from reading other Christian blogs. I love the topic God has given you. I know the He will use your faithfulness to reach others. Thank you again for sharing. Janelle, I had the same sort of surprise myself last year. I never expected to find such an amazing community of Christian bloggers or the encouragement I received from reading their posts. I’m glad you are in against his year as well!